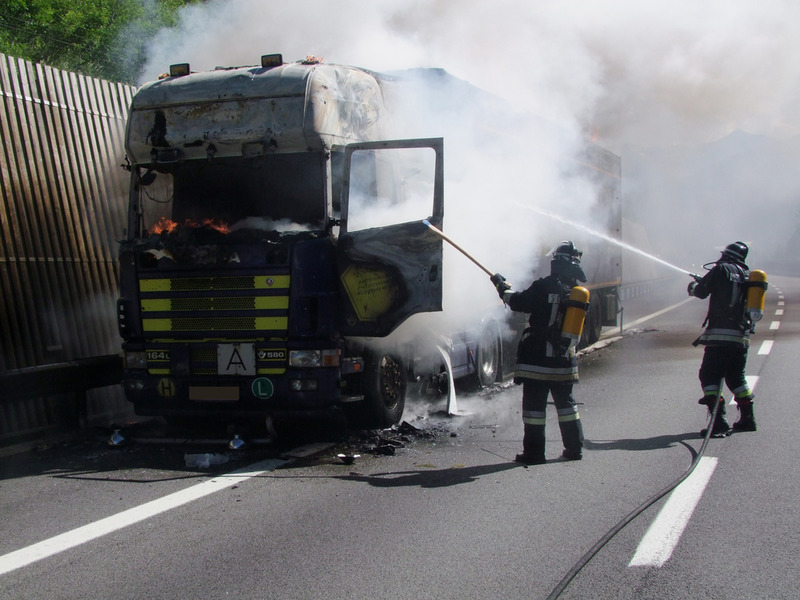 Big rig accidents are some of the most challenging cases that we come across. After all, these include enormous trucks, eighteen wheelers and more. As ever, when we say “big rigs” we don’t mean that particularly large Ford truck that your neighbor has. We’re referencing commercial trucks. These are the vehicles that were specifically designed to haul enormous payloads across long distances in a short period of time. That being said, we handle many different kinds of accident cases with large vehicles. In this blog, we’ll go over how these cases work and how we can help. The LA Injury Group has attorneys that specialize in cases involving big rigs and other kinds of commercial vehicles. This is important to keep in mind. Far too many other law firms, when someone comes to them saying they’ve been in an accident involving big rigs, will be told that there’s a “specialty lawyer” to work with them on staff. Then, the injured person is shuffled off to an attorney who just does car accidents. That doesn’t happen here at the LA Injury Group. When you come to us after having been in an accident involving a large truck, we put you with an attorney who has experience with large truck accident cases. As we mentioned earlier: these cases are different. They are not exactly like other kinds of accident cases, so they shouldn’t be treated like other accident cases. You and your case deserve an attorney whose sole focus is on these kinds of cases. That’s what the LA Injury Group can provide you with. Of course, when we say “big rigs” we mean more than just the regular trucks you might buy at a car dealership. However, when we say “big rig and truck accident” lawyers, we cover far more than just cases that involve an 18 wheeler. For example, we deal with plenty of cases involving truck and trailer combos, tow trucks, commercial vans, even ice cream trucks – these specialized cases involve trucks that are used in a commercial capacity. That’s where our expertise is involved with here. As you can see, this covers a wide range of trucks. Unfortunately, it also covers a wide range of accidents. These injuries tend to be serious ones, as these vehicles are all very large. Often, when someone is injured by one of them, it’s on a freeway of some sort. These injuries can be particularly devastating. That makes it all the more imperative to have a law firm that specializes in these kinds of cases. When you put your truck accident case in the hands of a law firm that knows how to deal with it, it’s one less thing that you have to worry about. So, with us at your side, you can focus on what’s most important: your recovery. It can be hard to return to work after having been injured by a truck. Many of our clients struggle to go back to work and perform in the same capacity, if they’re able to return to work at all. When that happens, you deserve to be compensated for it. You didn’t ask to be hit by the truck. You didn’t choose to have to go through the process of recovering from a truck injury. We can help you through the process, from the initial, free consultation through you receiving your due compensation at the end. One of the most important reasons to have experienced attorneys on your side is that we can launch an investigation to find out exactly what caused the truck accident. There are more factors than one might think. The obvious answer is always “the truck driver,” but there can be more to it than that. With an investigation from the LA Injury Group, we can find who was at fault and to what extent. That way, we can get you as much compensation as possible from those who are truly responsible for the accident. To be clear, while the driver is always the first person that many think of as being responsible for a truck accident, it’s not always their fault. More accurately, it’s not always exclusively their fault. By that same token, it could absolutely be the fault of the company that owns the truck. It could be on them for sending the truck out when it wasn’t maintained properly, or through some other form of negligence. Getting even further afield, it could be the fault of whoever loaded the cargo into the truck. Remember: truck drivers very rarely (if ever) put their own cargo into their truck. That’s someone else’s job entirely. Cargo could’ve been put improperly into the truck, or perhaps improperly tied down. Then, it came loose, causing an accident. That’s the kind of thing that you, as a person who was injured in an accident with the truck, would almost never be able to ascertain on your own. That’s just the beginning of whose fault this accident could be. Truck manufacturers are often at fault in these kinds of accidents. They put the trucks out there, it’s their name on the truck – if they send out an inferior product, they could be liable. The same goes for the maker of the truck parts and products. Again, these can all be determined by a thorough investigation. The LA Injury Group has an investigative team who can find out the truth. A detailed, complete investigation can find out exactly what the problem was. Then, our attorneys can go to work putting together the most compelling case for you. This is all part of our process for getting you as much compensation as you deserve. As you might imagine, studies are often done that show the reasons for truck accidents. These are important to the trucking companies, law enforcement, the government, and others. Many trucks are shown to have brake problems. These problems could have been caused through neglect, or they could be caused through manufactured defects. Sometimes, it’s simpler – sometimes, the truck driver just didn’t know the route. So, they either panicked to get back to where they were supposed to be or they just kept driving, thus causing an accident. Other instances that cause these accidents include problems with the tires, the turn signals, and more. Commercial vehicles aren’t like our cars and trucks. When you go out for a drive, sure you check that your car is in good shape. You check for gas, you check the mirrors; maybe you look at the tires. You do a “once over” to make sure that your car is in good condition before you head out. That’s what most of us do. For commercial vehicles, like large trucks, it’s different. They have to be regularly checked. Moreover, they have to pass these checks with flying colors. These vehicles are checked often. If they fail to meet these checks (or the checks aren’t conducted) then the vehicle shouldn’t be on the road. So many times, we’ve had clients who were injured due to a vehicle that either hadn’t been checked or had failed such a check. Those are circumstances where a client has a strong case. Of course, even if your accident didn’t fall under those parameters, you may still have a case. The one way to know for sure is to contact our attorneys. We can sit down with you at a free consultation. There, we’ll go over everything there is to go over about your case. We’ll listen to you, and then, we’ll tell you how we can help. As we’re fond of pointing out, you have nothing to lose through one of these. To set it up, just give us a call at (818) 210-4558 or head to our site.